I don't know when, but at some point in recent years I developed a fascination with how cities and neighborhoods grow and, essentially, how they're built (or rebuilt). I know it has a lot to do with me having lived in Charlotte for almost a decade now, and the sizable growth I've witnessed here during that time. So I enjoy reading the many news articles of announcements and updates on new condos, apartment buildings, office towers, hotels, shopping centers (and in many cases a combination of these things, commonly known as "mixed use") being planned and built around the city, that I come across on The Charlotte Observer and Charlotte Business Journal's websites. And, of course, that growth is mirrored (or should be mirrored) in the improvements in infrastructure, such as the final leg of Interstate 485 finally opening, the next phase of the light rail running to University City, and the continued renovations and expansions of Charlotte Douglas International Airport. And it's the CLT airport stuff that's caused me to geek out. Seriously, since the airport announced, a month ago, the next phase of its development master plan, I've been talking to friends and colleagues about it like it's the Apple Watch or something. The $2.5 billion investment will make the airport more modern, convenient, accessible, and keep up with its crazy growth. Consider this: the airport welcomed 25 million total passengers for the year in 2004; 10 years later, in 2014, the total was 44 million. 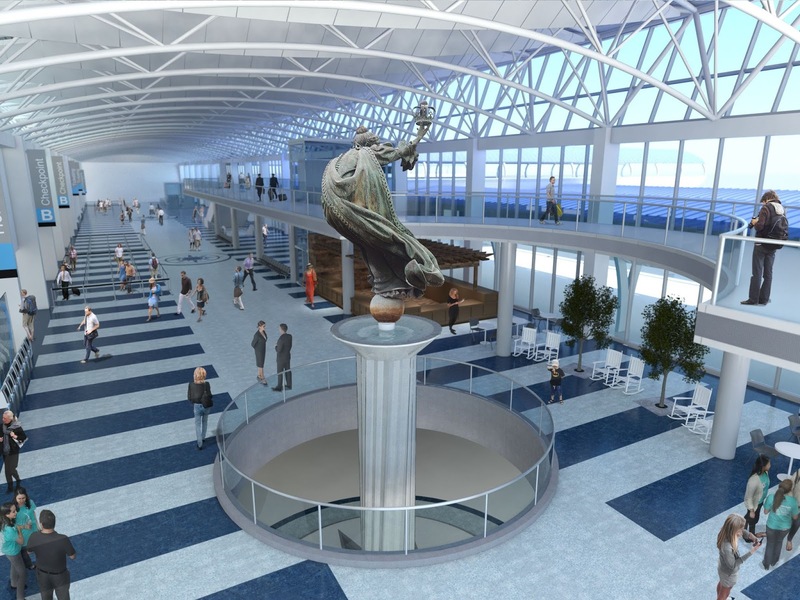 You can read about the planned projects, including expanding the terminal and lobby and renovating the concourses. But you'll definitely want to watch the video below, which is what fascinated me. 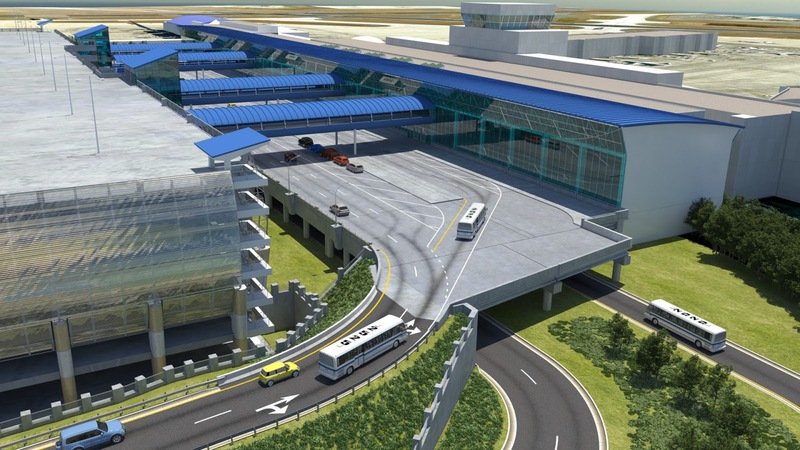 It uses computer generation to show how, most notably, the terminal curb and roadway will be expanded and elevated, with the addition of several new lanes for vehicles dropping off and picking up passengers. And keep in mind, all of this construction will take place while the airport is in full operation, with millions of passengers coming and going each month. Glad to see that the statue will be on display again. I always thought it was impressive.